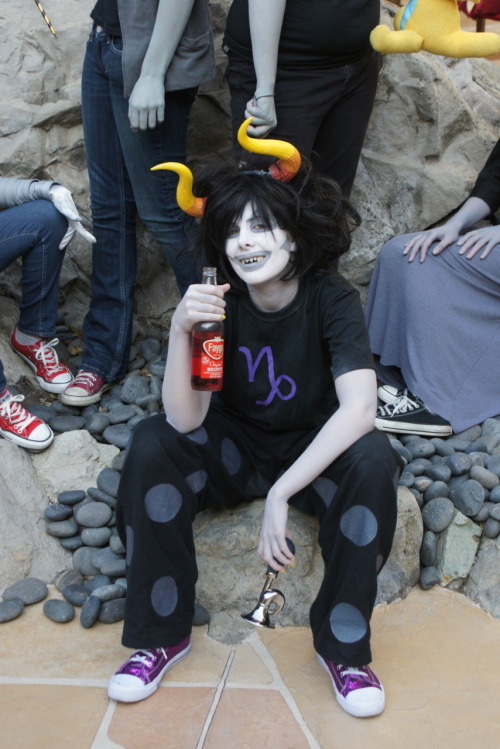 There's been like four Homestuck threads, all unsuccessful. but now all of us are here to talk about it. And, I would have used the Vriska Sprite gif that I saved to my computer, but its too big. I'm thinking about resizing it. next time you cosplay be one of the trolls okay? If she was still alive that is. Yes, she is definitely dead. I am sure of it. "These are the most significant spoilers in the series, like, you really want no part in this even if you don't plan on reading Homestuck." "seriously make sure you are caught up first." Gamzee aside, T1G is insisting that I am probably wrong on my theory that Sollux is about to do something bad. 1/Sollux is merely knocked out. 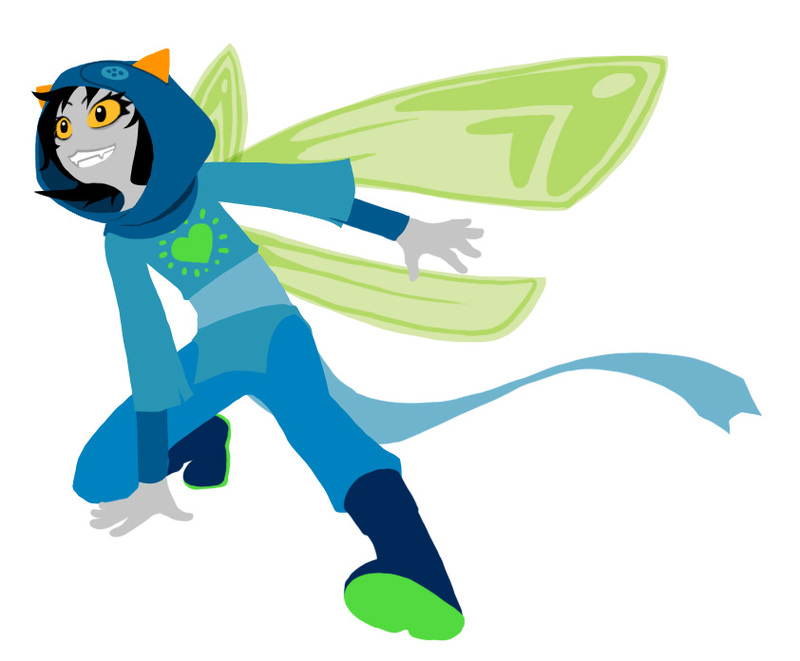 2/Doc Scratch tells Karkat to not turn his back on the body. 3/When Karkat turns around, he only views the dead bodies, despite how easy it would be to encapsulate the whole room, even if it's not in Karkat's view, as it has been done before. Now if you see where I'm going with this, Sollux's body is the only body capable of doing anything other than disappearing due to some happenstance, as he's only unconscious. Now Vriska is inside the meteor, right this instant. Even though she can only do it half the time, Vriska can control Sollux's actions, but right now she has all the luck so it wouldn't be surprising if she pulled it off, especially since Sollux would be emotionally weak and unconscious. As she has done before, BEYOND DIMENSIONS, Vriska can wake people up. When Karkat turns around, he specifically only looks at the dead bodies, which is foreshadowing how he missed the fact that Sollux is a body at this very moment. I'm not saying I know what Sollux will do, but the point is that I know he's probably going to do something bad, and Vriska is probably the one who is going to cause it. I think it's pretty obvious they're going to make paradox clones of the matriorb, and possibly of the trolls who died, but you know. Definitely the matriorb though. Happy endings are best though :C otherwise I just get totally depressed and stuff, and that's not very nice at all.